Window-shopping, browsing, or showrooming, whatever you call it in your practice, when you don’t engage with a patient that says they are “just looking,” you’re missing an opportunity to convert frame purchases. A common objection you may hear when pitching the frames in your optical dispensary is that “they are too expensive.” If you’ve explained the value of the frames and your patients are still resisting, it might be time to rethink your pricing strategy. 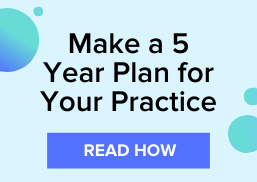 This post offers a few psychology-backed pricing strategies that you can implement in your optometric practice to convert your show-rooming patients into paying job orders. The way you display your frame prices can affect your patient’s decision to make a purchase from your optometric practice. Some of the psychology-based tactics, detailed in this article, focus on making simple changes to your price tags. Anchoring is a critical strategy in negotiation because it creates a reference point for both parties to base their arguments around. Anchoring is also essential in pricing your dispensary products. Nick Kolenda suggests listing prices in descending order from high-to-low because the larger amount at the top creates a reference point for price and value. Another way to anchor prices is to offer a three-pronged pricing model across all of your frames. Sandwiched between a low-priced, basic frame and an expensive, luxury frame is a moderately priced, quality frame. Not only will a standard set of prices minimize the paradox of choice, but a three-tier pricing model creates a reference point for your customers and offers options for them to assess what they are willing to pay. In most cases, if patients are browsing your frame board, they need corrective lenses to see clearly. Whether your patient needs corrective lenses for daily use, when they are reading, or when they are working in front of a computer, odds are they will wear them, at some point, every day. When communicating the price of the frames to patients, mention the daily cost equivalence to create a perception of a lower overall cost. Another way to improve the way you communicate price is to use the Rule of 100 if you’re offering a discount to a patient. The Rule of 100 tells you to list a percentage-off discount for items under $100 and to use a dollar-off discount for items over $100. Using the Rule of 100 to communicate discount values gives your patients the perception that they are getting a better deal. Want more tips for increasing your frame sales? Download our "4 Weeks to Bigger Profits in Your Optical Dispensary" eBook.